a gateway for intuitive wisdom. in ways you can also share with others. Learn ways to move beyond the restrictions of physical limitations. about yourselves and your cells. Learn specific Tellington TTouch TECHNIQUES and HANDS-ON-METHODS. and DIRECTING YOUR THOUGHTS for supporting enhanced well-being. Join Us, Register Now & Save! Or, join our next LIVE program in combination with this Self Study Immersion program. 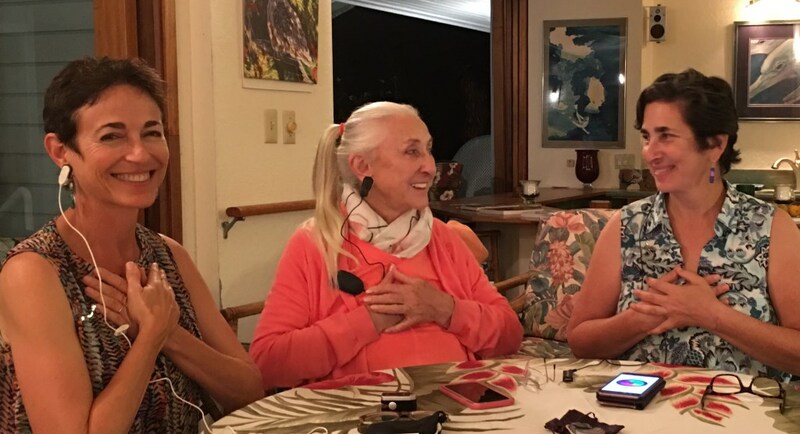 Linda Tellington-Jones center, Sandy Rakowitz right, Elinor Silverstein left using Tellington TTouch Heart Hugs while at their TTouch For You Planning Retreat January 2018. Exquisite, interactive mentoring and training with Linda Tellington-Jones, Founder of Tellington TTouch with opportunities to receive personal feedback and direction. Learn practical, easy to put into use, specific methods and techniques for your own self-growth, and to use in day to day interactions for support and quality of life enhancement. Uplifting content with a spotlight focus on the core theme of the Divine Spark of Cellular Intelligence within and available to all. Specialized focus for both self-help use and within professional practices to use right away in daily life. Highlights of Science and Spirituality as an integral part of Tellington TTouch For You. Deepen your understanding of the miraculous healing powers within your cellular intelligence. LEARN FROM WHEREVER YOU ARE IN THE WORLD. Learn ways to access and direct your intention and focus so you can activate the innate powers of renewal built into the fabric of your being. Tellington TTouch Practitioners for Companion Animals, or Horses. Those who’ve previously had an introduction to Tellington TTouch with animals, or people. People who are totally new to Tellington TTouch. Healing Arts Practitioners in: Feldenkrais, Energy Modalities, Cranial Sacral, Chiropractic, Acupuncture. Acupressure, Massage and other hands-on healing modalities. Health-Care Professionals such as physicians, nurses or other related medical professions. Senior Care, Hospice and End-of-Life Care Facilitators. Psychotherapists – for themselves, and to share for empowering their clients with new tools for self-help. Educators to empower their students. Managers and leaders in any field who wants to integrate new tools into the workplace for stress reduction and positively influencing health and well-being. “Be The Change You Wish To See in the World” and uplift the reality you create day to day. to create the world & humanity you crave. of the science and spirituality at the heart of TTouch. The ENTIRE COURSE is 100% ONLINE. Learn From Wherever You Are Around the World. with Linda, Sandy and Elinor. Online TRAINING with Linda, Sandy & Elinor. Live class includes practical, in depth exercises, demonstrations, lively discussions. Downloadable course materials, handouts, resources, and readings to support your learning experience. Inspiring exercises with simple assignments helping you immediately apply what you’re learning in your daily life, with friends, family, and with clients. Complete with class recordings in downloadable MP3 audios, and online videos. Exclusive access to a private Tellington TTouch For You® group sharing forum online in between classes. This is a wonderful place for you to receive feedback, support, swap ideas, connect, share progress, and more. Lifetime access to the Tellington TTouch For You® online course materials. And, we have over a dozen special surprise bonus features for you! * This program is for newcomers, novice, as well as the experienced TTouch Practitioner. Do you cover only the material in the TTouch for Healthcare book? * We cover the material in the Healthcare book, plus we go in depth with elements at the heart of TTouch delving into the merging of science and spirituality in very practical ways. You are lead through a tremendous amount of specific content in ways often not taught or covered in most TTouch trainings in person, and so much more! What if I have already taken a TTouch Training, will I learn anything new? * YES, you will learn new material! We cover techniques specifically for self-care; Dive in depth into techniques throughout the 6 classes; Explore the Key 9 Elements of TTouch-for-You; and, share the HEART of TTouch in ways often not taught in other trainings. Does this program count to be updated as a Tellington TTouch Companion Animal, Horse, or Human Practitioner? * Yes! Receive 18 hours of credit for completed course work! Can I use Tellington TTouch-for-You in my current profession? * Yes! We encourage sharing Tellington TTouch. After just one class, most people begin applying what they have learned for themselves and share with others -often finding remarkable results. 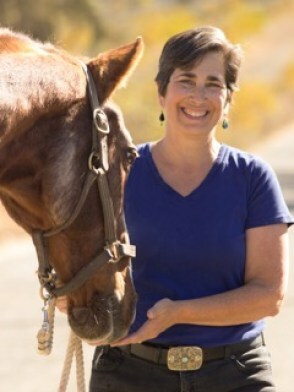 * For TTouch practitioners with horses and companion animals, and for those who have training in working with people professionally in medicine, education, healing arts, etc. you can work towards being listed on our TTouch website as integrating TTouch. This includes some additional requirements. 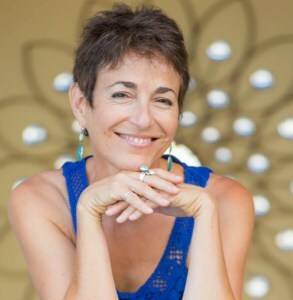 Linda Tellington-Jones, PhD (Hon) is the creator and Founder of the Tellington TTouch® method. Over 2500 individuals have been trained in the Tellington Method for humans and animals and are working in 36 countries. She is the author of 21 books in 15 languages about her work with many species of animals as well as books for human health-care. This unique approach has originated as a result of her life-long journey to learn to trust her intuition and has grown in popularity throughout the world. 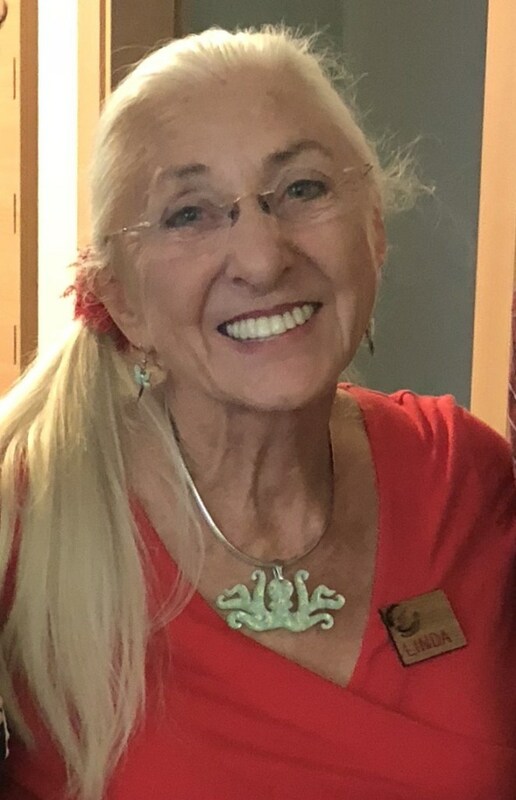 Sandy Rakowitz, founder of One Heart Healing Center, has been a Tellington TTouch Practitioner® for nearly 30 years and has been working closely with Linda Tellington-Jones. She is a graduate and former faculty of the Barbara Brennan School of Healing, is an Animal Communicator, a certified business, marketing, money and soul coach, and has taught across the U.S.
Elinor is an experienced Feldenkrais Practitioner®, Movement Intelligence® Trainer and movement expert who works with Pain, Back and Neck issues, Special Needs Children, Special Needs Adults, and severe physical limitations. Her extensive background in the biological sciences also helps to inform the way she works with both humans and animals.